Cirque du Soleil is pleased to announce that the critically-acclaimed production Alegría will perform in Belgrade at the Belgrade Arena from June 29 – July1, 2012 for five performances only. 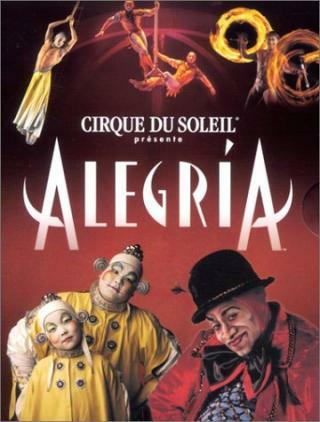 Alegría is a Cirque du Soleil classic and an internationally acclaimed production that has entertained more than 10 million people worldwide. Alegría is a Spanish word that means happiness, joy and jubilation and features an international cast of 55 performers and musicians from 17 countries and showcases breathtaking acrobatics. Acts include the Synchro Trapeze and the intense and high-energy Aerial High Bars in which daring aerialists fly to catchers swinging more than 40 feet above the stage. The vibrancy of youth is alive in Power Track, a brilliant display of synchronized choreography and tumbling on a trampoline system hidden under the stage floor. In Russian Bars, artists fly through the air and perform spectacular somersaults and mid-air turns, landing on bars perched on the sturdy shoulders of catchers.